The O. P. Jindal Global University (JGU), in Delhi, India, is happy to announce the Jindal-Africa Scholarship Programme as part of its commitment towards fostering global cooperation and development, with a special focus on Africa. This scholarship programme is intended to build human capital of fellow developing countries through higher education. It aims to build capacities of young Africans by bringing them to the JGU campus in India and training them in key issue areas relevant to the national priorities of their respective countries. Beginning in August 2014, JGU will under the Jindal-Africa Scholarship Programme, offer 50 scholarships to Africans for study. The ultimate goal of this programme is to strengthen people-to-people linkages between India and Africa. Must be a national of an African country. Must be applying for full time studies at the university. Must meet the eligibility criteria for the JGU programme, and have an offer of a place. If English is not applicant’s first language then they will need to show that English language skills are at a high enough level to succeed in their studies. More information on the programmes eligibility and admissions requirements are available on request from the university or online here. 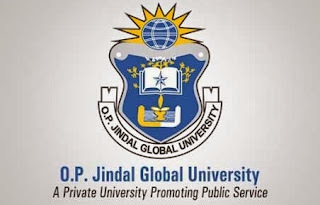 O. P. Jindal Global University (JGU), Delhi National Capital Region (Delhi NCR), India. Undergraduate and Postgraduate degree programmes in the five schools of the university. Each school offers several scholarships for their programmes. For more information, please visit the school webpages (link to them is below). All applicants must be Africans, and must be qualified for the awards. Applicant must submit the scholarship application form along with the provisional offer to study in a JGU programme. On meeting the programme requirement, applicant will be offered a provisional scholarship. This offer is subject to applicant achieving the set score in the admission test for that programme. When applicants have demonstrated that they have met all the requirements, they will receive a confirmed offer of a scholarship. JGU’s faculty members have been traveling to various countries in Africa including Botswana, Mozambique, South Africa, Uganda, Kenya and Tanzania to meet with school and university officials as part of their outreach efforts. Already students from Kenya, South Africa, Liberia, Mozambique, Angola, Botswana, Guinea and Zambia are undergoing full-time study in the university. African students graduating from the programmes are returning to their respective countries to take up careers in teaching, apart from joining the public and private sectors. JGU is a non-profit university recognized by the University Grants Commission, Government of India, with the motto of ‘A private university promoting public service.’ The vision is to promote global courses, programmes, curriculum, research and collaborations through reputed international faculty. JGU is situated in Delhi National Capital Region, and is one of the few universities in Asia that maintains a 1:15 faculty student ratio. Undergraduate and Postgraduate degree programmes are offered in its five schools in the areas of law, business, government and public policy, international affairs, and liberal arts & humanities.